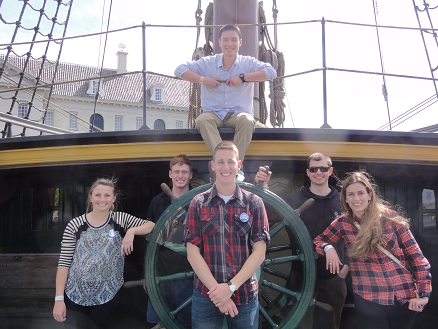 During May 2015, four midshipmen who had taken the Historic Shipwrecks course in the spring of 2015, and two additional midshipmen, participated in an LREC to Western Europe. 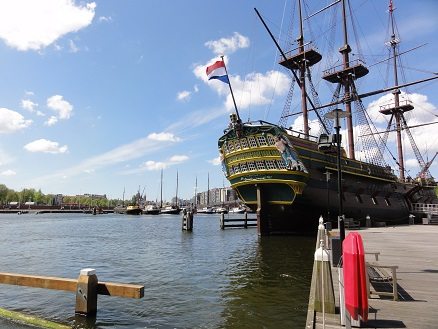 Amsterdam (c. 1749), a Dutch East Indiaman replica, in Amsterdam. 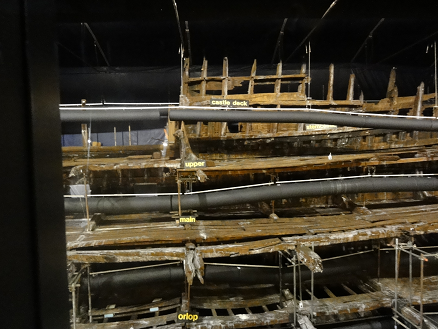 Mary Rose (c. 1545), the Victory (c. 1805), and the Warrior (c. 1860), all of which are located at the Historic Dockyard in Portsmouth. 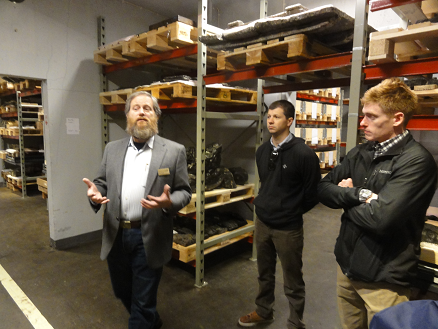 We also had opportunity to visit various naval/maritime and other cultural museums in each city to view the different maritime technologies, and to expose midshipmen to cultures of the three different allies. Our travel was by foot, train, bus, subway, and streetcar, which enabled us to gain appreciation of the urban neighborhoods, and included excursions to the countryside of both Sweden and the Netherlands. Amsterdam. Recreation of a Dutch East Indiaman from 1749. With 42 guns, and 1100 ton displacement, the ship would be very similar to the Bonhomme Richard, a French East Indiaman a few decades younger. 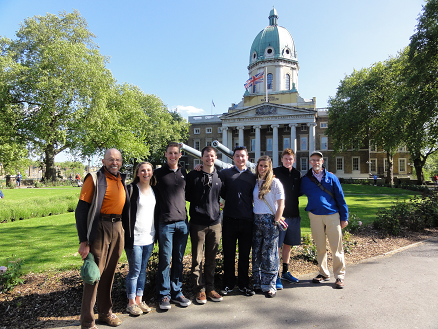 Group at the Imperial War Museum, London. Naval guns in the background. 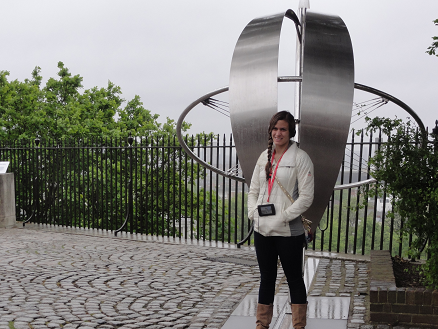 On the Prime Meridian, Greenwich. 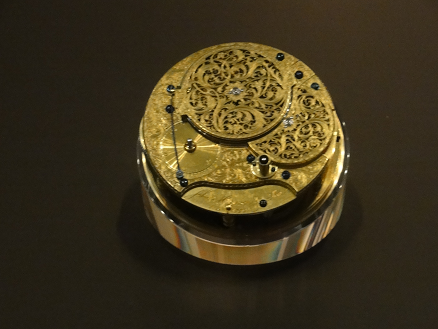 Harrison's chronometer, the key to determining longitude at sea. 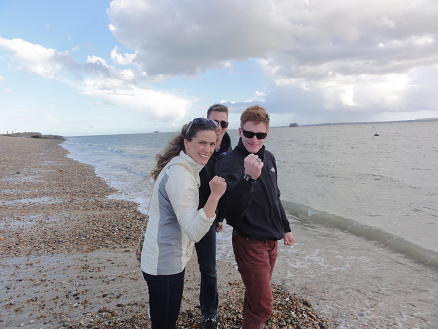 Ring Dance UK 2015, dipping the rings in the ocean. 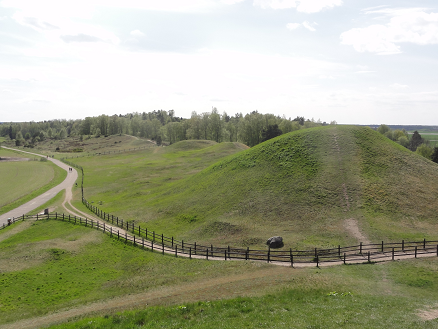 Uppsala and Gamma Uppsala Walk through Uppsala, museum and burial mounds at Gamma Uppsala, and hike back to town. Most museums in Stockholm are closed Monday, so this allowed us to see sights thar were open, and provided a view of a smaller city in Sweden. 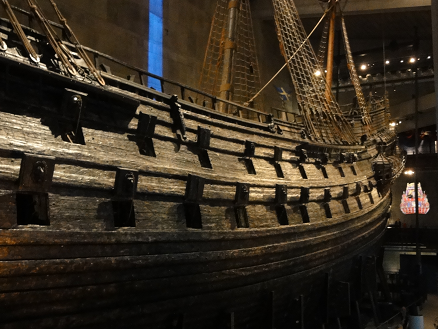 Stockholm Skansen, Swedish History Museum, and Vasa Museum. We had a behind the scenes tour of the storerooms with the artefacts from the Vasa which are not on display. 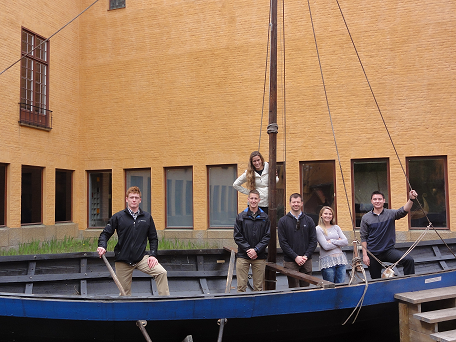 Amsterdam National Maritime Museum, the Amsterdam, and a tour of the canals. Half to Texcel, to ride bikes and see the Dutch countryside. 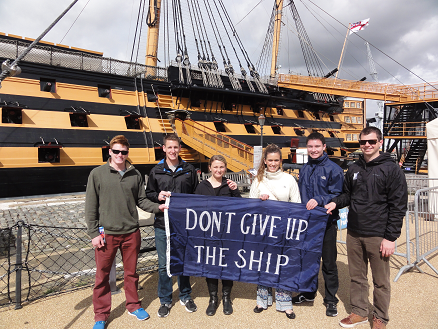 Texcel was the port where John Paul Jones took Serapis after the battle with Bonhomme Richard. Half stayed in Amsterdam, to see the City Museum and the Van Gogh Museum. 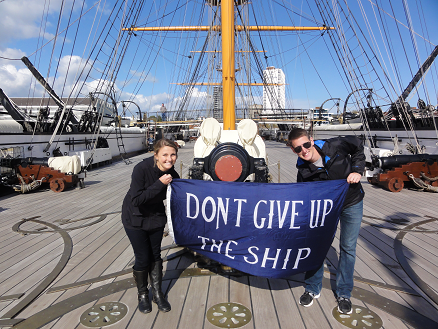 National Museum of the Royal Navy Portsmouth. Hignlights included a centennial exhibition on Gallipoli, and the interpretation of the Battle of Trafalgar.